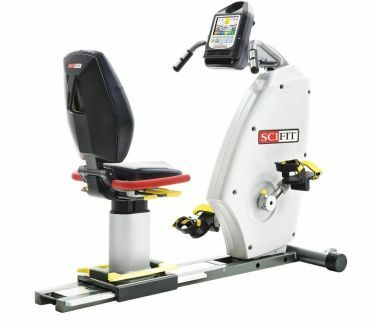 The SciFit medical arm bike Inclusive Fitness PRO2 total body is the industry’s most versatile rehab tool. The PRO2 offers upper body, lower body or total body exercise. Developed by rehabilitation professionals, adaptability makes the PRO2 the choice for physical therapy or total body wellness. Its effectiveness means therapists can treat more patients in less time. The Inclusive Fitness PRO1 is specially made for people with disabilities or people with a mobile or visual impairment. The hand rower is equipped with additional tools such as: Color-coded adjustments and Braille locators, low support boots, an extra ramp for wheelchair users and a premium seat. 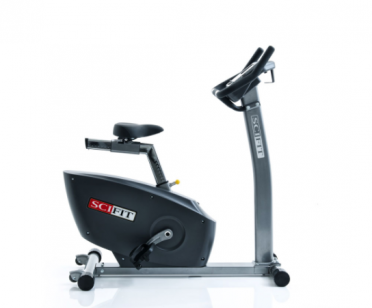 The SciFit medical arm bike Inclusive Fitness PRO1 upper body is designed to provide the ultimate in upper body exercise, offering both cardio and strength. It is ideal for strengthening arms and shoulders while recruiting the core stabilizing muscles. The wide range of crank height and crank length adjustability provides the user with perfect bio-mechanical body positions for any exercise performed on the SciFit PRO1. The Inclusive Fitness PRO1 is specially made for people with disabilities or people with a mobile or visual impairment. The hand rower is equipped with additional tools such as: Color-coded adjustments and Braille locators, an extra ramp for wheelchair users and a premium seat. 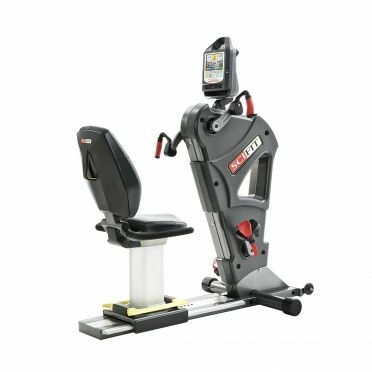 Part of Life Fitness’s full commercial SciFit PRO series, the SciFit medical arm bike PRO2 Sport total body delivers an exceptional full body workout for users of all abilities. Boasting smooth movement thanks to its high-end, Iso-strength build, it’s made for tough environments while training flexibility comes courtesy of 191 resistance levels and 12 workout programmes. All users can find the right intensity for them, whilst increasing fitness as quickly or gradually as desired. The PRO2 Sport features easy access thanks to its step-thru design and the seat can be removed for wheelchair access. The robust Standard seat can be adjusted forwards and backwards and features a custom seat shape for lumbar support with a maximum user weight of 227kg. 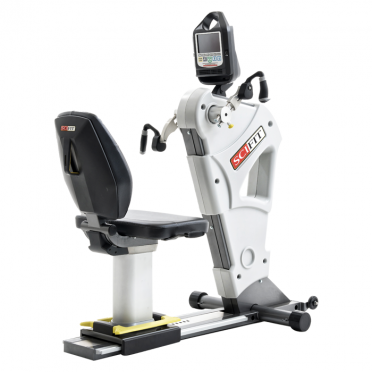 Part of the Life Fitness full commercial SciFit PRO series, the SciFit medical arm bike PRO1 Sport standing upper body delivers versatile standing upper body training. Working the upper body, it also acts as an excellent cardio workout, getting that heart beat raised. Equipped with 191 resistance levels, it’s suitable for every level of fitness and can be used standing, or with a stability ball or disc. The PRO1 Sport is of solid build. Iso-Strength safe, it features a tall mast with a sturdy platform for intensive training. Adjustable arm cranks offer customisation while 12 built in workout programmes offer motivation and assist with targeted training goals. The Intelli-Fit console feeds back all key workout stats including heart rate, time, RPM, calories, distance, level, Watts and METS. The SciFit medical arm bike PRO1000 seated upper body premium seat helps strengthen arms and shoulders and recruits core stabilizing muscles. Its bi-directional movement and resistance provide versatility, help prolong exercise and promote reciprocal muscle balance. The chair can be removed and a wheelchair can be placed instead and the machine can be adjusted for a custom fit and range of motion to ensure optimum control and safe positioning as you train. Our INTELLI-FIT console offers multiple program options with an easy-to-read screen for a safe, effective workout. 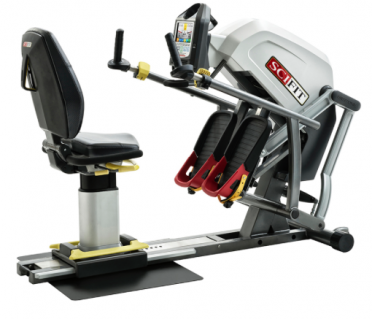 The SciFit medical arm bike PRO1000 seated upper body standard seat helps strengthen arms and shoulders and recruits core stabilizing muscles. Its bi-directional movement and resistance provide versatility, help prolong exercise and promote reciprocal muscle balance. The chair can be removed and a wheelchair can be placed instead and the machine can be adjusted for a custom fit and range of motion to ensure optimum control and safe positioning as you train. Our INTELLI-FIT console offers multiple program options with an easy-to-read screen for a safe, effective workout. 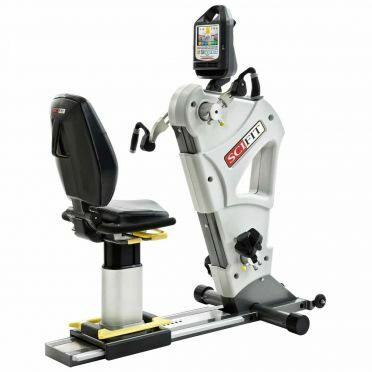 The SciFit medical arm bike PRO1 upper body standard seat is designed to provide the ultimate in upper body exercise, offering both cardio and strength. It is ideal for strengthening arms and shoulders while recruiting the core stabilizing muscles. The wide range of crank height and crank length adjustability provides the user with perfect bio-mechanical body positions for any exercise performed on the SciFit PRO1. 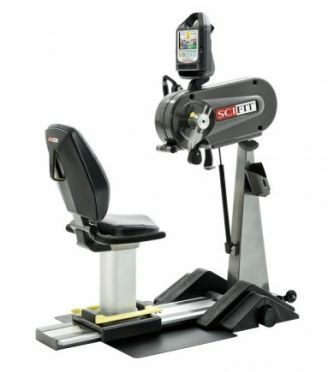 The SciFit medical arm bike PRO2 total body premium seat is the industry’s most versatile rehab tool. 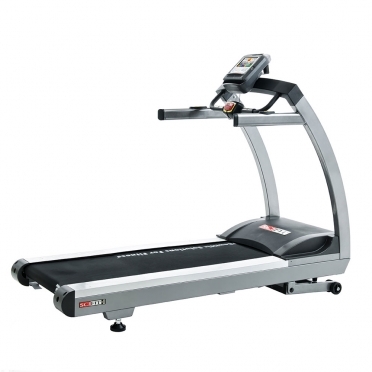 The PRO2 offers upper body, lower body or total body exercise. Developed by rehabilitation professionals, adaptability makes the PRO2 the choice for physical therapy or total body wellness. Its effectiveness means therapists can treat more patients in less time. 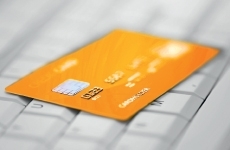 Its sophisticated program options make documenting functional outcome easy. The PRO2 offers the versatility to meet the needs of the full spectrum of clients. 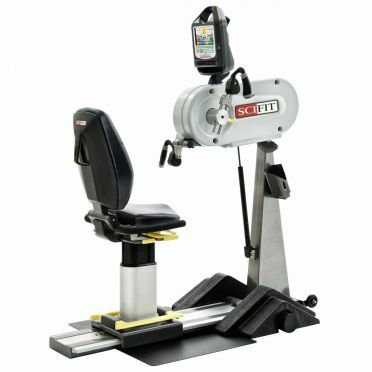 The SciFit medical arm bike PRO2 total body standard seat is the industry’s most versatile rehab tool. 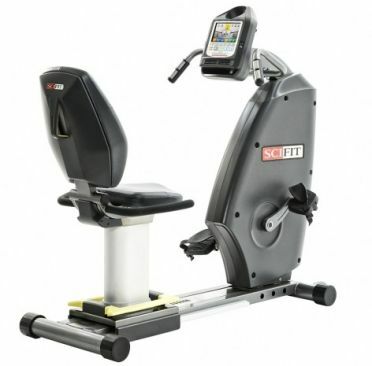 The PRO2 offers upper body, lower body or total body exercise. Developed by rehabilitation professionals, adaptability makes the PRO2 the choice for physical therapy or total body wellness. Its effectiveness means therapists can treat more patients in less time. Its sophisticated program options make documenting functional outcome easy. The PRO2 offers the versatility to meet the needs of the full spectrum of clients. 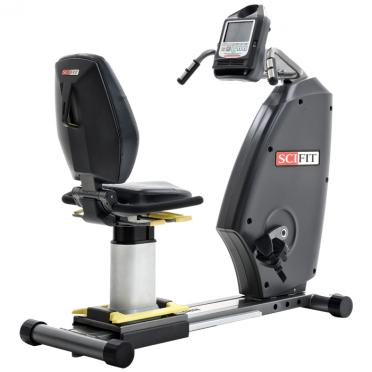 The SciFit medical recumbent stepper StepOne premium seat provides a smooth, total body functional movement. It features low starting resistance, direct wheelchair access, adjustable arm length and handle angle, customizable programs and documentation to help users reach their goals. 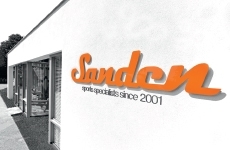 Helping to improve everyday activities, it’s ideal for those with or without disability. 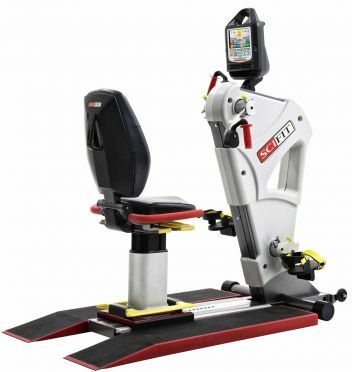 Rotating grips, adjustable arm length movements and stride length from 5-29cm offers customisation for all, while the 191 resistance level changes (levels 1-20, adjustable in 0.1 increments) ensure everyone can find the right intensity for them, whilst increasing fitness at the individual’s pace. 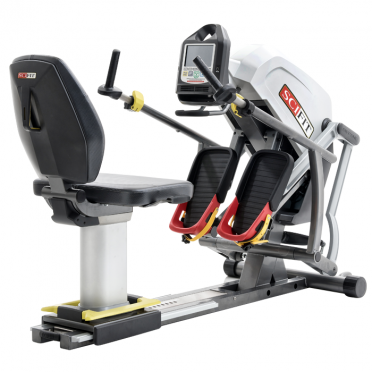 The SciFit medical arm bike PRO1 upper body premium seat is designed to provide the ultimate in upper body exercise, offering both cardio and strength. It is ideal for strengthening arms and shoulders while recruiting the core stabilizing muscles. 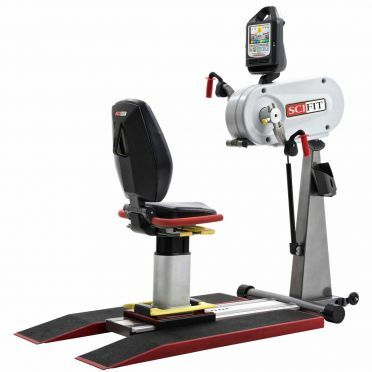 The wide range of crank height and crank length adjustability provides the user with perfect bio-mechanical body positions for any exercise performed on the SciFit PRO1. 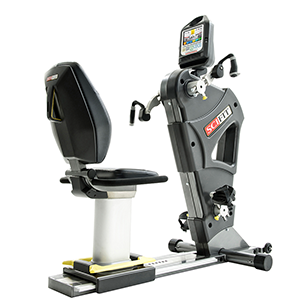 The SciFit medical recumbent stepper StepOne standard seat provides a smooth, total body functional movement. It features low starting resistance, direct wheelchair access, adjustable arm length and handle angle, customizable programs and documentation to help users reach their goals. Helping to improve everyday activities, it’s ideal for those with or without disability. 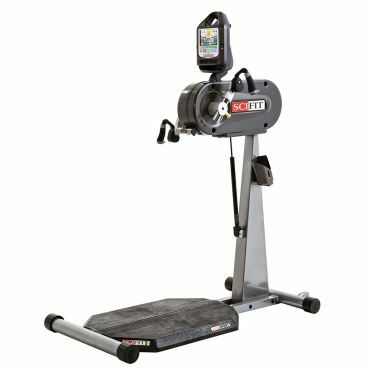 Rotating grips, adjustable arm length movements and stride length from 5-29cm offers customisation for all, while the 191 resistance level changes (levels 1-20, adjustable in 0.1 increments) ensure everyone can find the right intensity for them, whilst increasing fitness at the individual’s pace. Part of the exceptional full commercial SciFit range from Life Fitness, the SciFit medical exercise bike ISO1000 upright Bike features a silver powder coated frame and charcoal covers, providing the ultimate smart machine to fit seamlessly into both home and commercial environments. Equipped with a step-through design for easy access, the oversized seat system complete with vertical and horizontal adjustments is designed to suit all users. Paired with the seat are oversized, self-righting pedals, allowing the ISO1000 to deliver a comfortable experience for users up to 159kg. 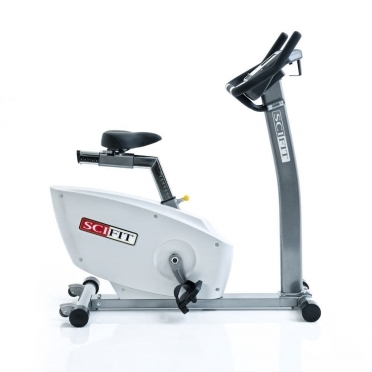 Part of the exceptional full commercial SciFit range from Life Fitness, the SciFit medical exercise bike ISO1000 Bi Directional upright Bike features a silver powder coated frame and cool grey covers, providing the ultimate smart machine to fit seamlessly into both home and commercial environments. Equipped with a step-through design for easy access, the oversized seat system complete with vertical and horizontal adjustments is designed to suit all users. 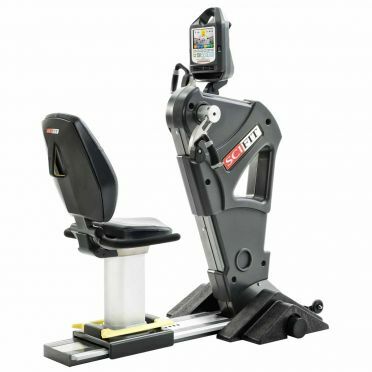 Paired with the seat are oversized, self-righting pedals, allowing the ISO7000 to deliver a comfortable experience for users up to 159kg (25st approx.). Part of the exceptional full commercial SciFit range from Life Fitness, the SciFit medical recumbent bike ISO7000R bi directional premium seat features a silver powder coated frame and cool grey covers, providing the ultimate smart machine to fit seamlessly into both home and commercial environments. The premium seat features a robust seat base with integrated grooves to prevent undesired movement, a custom seat shape to reduce hamstring interference and to provide lumbar support, and an integrated seat handle for easy removal and direct wheelchair access. The Inclusive Fitness PRO1 is specially made for people with disabilities or people with a mobile or visual impairment. The hand rower is equipped with additional tools such as: Color-coded adjustments and Braille locators, low support boots and a premium seat. 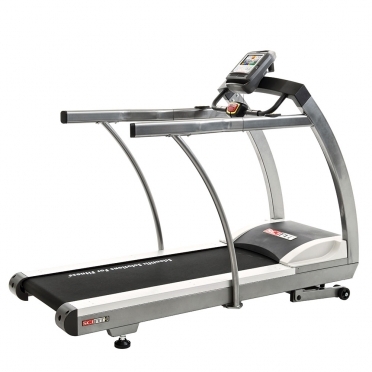 Part of the exceptional full commercial SciFit range from Life Fitness, the SciFit medical treadmill AC5000 extended rail features a silver powder coated frame and cool grey covers, providing the ultimate smart machine to fit seamlessly into both home and commercial environments. With a 3HP Motor with inverter, extra wide (56cm x 157cm) platform with large low static belt, and maintenance-free eucalyptus deck, the sturdy AC5000M offers a comfortable workout for users up to 250kg (approx. 39 stone). For support, the AC5000M also features full side handrails. Part of the exceptional full commercial SciFit range from Life Fitness, the SciFit medical recumbent bike ISO1000R standard seat features a silver powder coated frame and charcoal covers, providing the ultimate smart machine to fit seamlessly into both home and commercial environments. Despite slightly less adjustments in comparison to the premium seat option, the fixed position wheelchair accessible standard seat offers the same great features – including forward/backward adjusters. The standard seat is also built to withstand a heavier user weight of 227kg (approx. 35 stone). Part of the exceptional full commercial SciFit range from Life Fitness, the SciFit medical recumbent bike ISO1000R premium seat features a silver powder coated frame and charcoal covers, providing the ultimate smart machine to fit seamlessly into both home and commercial environments. The premium seat features a robust seat base with integrated grooves to prevent undesired movement, a custom seat shape to reduce hamstring interference and to provide lumbar support, and an integrated seat handle for easy removal and direct wheelchair access. In terms of adjustments, the premium seat adjusts forwards and backwards along the rail, up and down to the correct height for the user, reclines back with a 23-degree recline range, and swivels round 360-degrees for super easy-entry. The premium seat is built to withstand a user weight of 204kg (approx. 32 stone).